On August 23rd, of 2014, our travels had taken us to the border of the upper Peninsula of Michigan and Wisconsin. It was there that I received a call from Matt Mayers, Ron and Reba’s son, saying that his father had passed away and would I be willing to come and preach the memorial sermon on September 6, 2014. I didn’t really need to think about it because I was honored to have been chosen to preach God’s Word on that occasion. We had two weeks to drive from the top of Wisconsin to Durham, North Carolina which afforded time for me to collect my thoughts and prepare for my assignment given to me by God to preach His Words of truth and comfort. I carefully considered what I could say about Ron that would not simply set him on a pedestal out of the reach of most of us, but, would communicate the character of this godly man who had dedicated his life to Jesus in service to his fellow human beings. My mind was full of memories of our time together as I served as his assistant for three short years in Durham (1975 - 1978). I worked closely with my brother in Christ and saw his strengths as well as his weaknesses. And I came away from the experience with a profound regard for his spirituality and quite evident daily walk with Christ. I recalled his humility that didn’t seek to exalt himself or to lord it over others, but always with the desire to turn the attention to what God had done in his life fully on the Lord and to give glory to God for any good that could be accomplished through him. 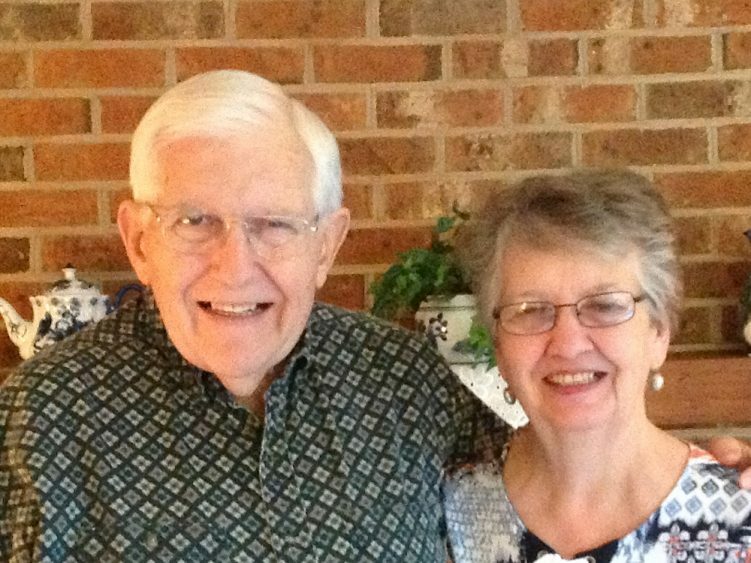 Ron allowed me to develop and grow in my experiences with the congregation. There were many times, for this young graduate of Toccoa Falls Bible College, when I wondered how I would deal with various issues that arose. Would I be understanding? Would I be helpful? Would I be able to point people to Jesus as One who loved them and cared about what happened in their lives? And Ron would gently show me the direction that I needed to go in order to minister the grace of our God. I remember well his humor and ability to laugh at himself but never to laugh at the expense of others. On one occasion, a visiting missionary friend had put a piece of limburger cheese on Ron’s car exhaust manifold. That cheese gave off quite an aroma when the car engine got hot and it was almost impossible to discover where the offending smell was originating from. He asked his family to “check your shoes, because someone stepped in something.” But when he finally learned the truth, he laughed and laughed at the trick played on him. There were times when the two of us would get together to discuss some quite serious problems regarding individuals within the congregation at that time. In each case Ron would lead in prayer for the person and the situation. Counseling was not always successful but Ron was firm in his belief that God could work in ways that he couldn’t. And…he was always right about that! There are many things that I could write about Ron and his life. One of the things that stands out to me is his love and commitment to his family. It was obvious that his love for each member was a motivation for every action that he took in raising his children and developing his relationship with his wife. Simply stated, Ron was an example to Bonnie and me as to how a Christian family should be. But, the one thing that sums up his life is that he was committed to his Savior Jesus Christ and he was going to follow Jesus regardless of consequences that might arise. He always spoke the truth in love with a realization that God hears every word and that there will always be the time when each person will stand before God and give account of their life lived on this earth.